Count Sergei Yulyevich Witte (Russian: Серге́й Ю́льевич Ви́тте, translit. Sergéj Júl'jevič Vitte, pronounced [ˈvʲitɨ]; (29 June [O.S. 17 June] 1849 – 13 March [O.S. 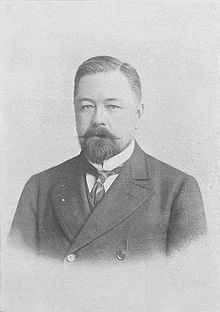 28 February] 1915), also known as Sergius Witte, was a highly influential econometrician, minister, and prime minister in Imperial Russia, one of the key figures in the political arena at the end of 19th and at the beginning of the 20th century. Witte was neither a liberal or a conservative. He attracted foreign capital to boost Russia's industrialization. Witte served under the last two emperors of Russia, Alexander III and Nicholas II. During the Russo-Turkish War (1877–78) he had risen to a position in which he controlled all the traffic passing to the front along the lines of the Odessa Railways. As Minister of Finance Witte presided over extensive industrialization and the management of various railroad lines. He framed the October Manifesto of 1905, and the accompanying government communication, but was not convinced it would solve Russia's problem with the Tsarist autocracy. On 20 October 1905 he became the first Chairman of the Russian Council of Ministers (Prime Minister). Assisted by his Council he designed Russia's first constitution. Within a few months, he fell into disgrace within court circles as a reformer. He resigned before the First Duma assembled. Witte was fully confident that he had resolved the main problem—providing political stability to the regime, but according to him the "peasant problem" would further determine the character of the Duma's activity. He has been described as the 'great reforming finance minister of the 1890s', 'one of Nicholas's most enlightened ministers', and the architect of Russia's new parliamentary order in 1905. Witte's father Julius Chistoph Heinrich Witte was from a Lutheran Baltic German family of Dutch origin and converted to Russian Orthodoxy upon marriage with Yekaterina Fadeyeva. He became a member of the knighthood in Pskov, but moved to Saratov and Tiflis as a civil servant. 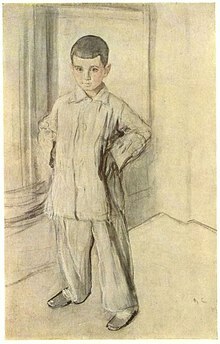 Sergei was raised on the estate of his mother's parents. His grandfather was Andrei Mikhailovich Fadeyev, a Governor of Saratov and Privy Councillor of the Caucasus, his grandmother was Princess Helene Dolgoruki. Sergei had two brothers (Alexander and Boris) and two sisters (Olga and Sophia), and the mystic Helena Blavatsky was their first cousin. He entered a Tiflis gymnasium, but he took more interest in music, fencing and riding than in studying. 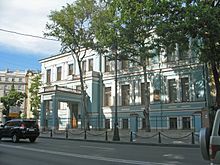 Sergei finished Gymnasium I in Kishinev and commenced studying Physico-Mathematical Sciences at the Novorossiysk University in Odessa in 1866 graduating top of his class in 1870. Witte had initially planned to pursue a career in academia with the aim of becoming a professor in Theoretical Mathematics. His relatives took a dim view of this career path as it was considered unsuitable for a noble at the time. He was instead persuaded by Count Vladimir Alekseyevich Bobrinsk, then Minister of Ways and Communication, to pursue a career in the railroads. At the direction of the Count, Witte undertook six months of on the job training in a variety of positions on the Odessa Railways in order to gain a practical understanding of ukrainian railways operations. At the end of this period, he was appointed chief of the traffic office. After a wreck on the Odessa Railways in late 1875 cost many lives, Witte was arrested and sentenced to four months in prison. However, while still contesting the case in court, Witte's Odessa Railways made such extraordinary efforts towards the transport of troops and war materials in the Russo-Turkish War—he devised a novel system of double-shift working to overcome delays on the line—that he attracted the attention of Grand Duke Nikolai Nikolaevich, who commuted his term to two weeks. In 1879, Witte accepted a post in St. Petersburg, where he met his future wife. He moved to Kiev the following year. In 1883, he published a paper on "Principles of railway tariffs for cargo transportation", in which he also spoke out on social issues and the role of the monarchy. Witte gained popularity. In 1886, he was appointed manager of the privately held Southwestern Railways, based in Kiev, and was noted for increasing its efficiency and profitability. Around this time, he met Tsar Alexander III but came into conflict with the Tsar's aides when he warned of the danger in using two powerful freight locomotives to achieve high speeds for the Royal Train. His warnings were proven in the October 1888 Borki train disaster, which resulted in the appointment of Witte to the position of Director of State Railways. Witte worked in railroad management for twenty years, starting out as a ticket clerk. He served as Russian Director of Railway Affairs within the Finance Ministry from 1889 to 1891; and during this period, he oversaw an ambitious program of railway construction. Until then less than one-fourth of the small railway systems was under direct state control, but Witte set about making the railway service a monopoly of the State. Witte also obtained the right to assign employees based on their performance, rather than political or familial connections. In 1889, he published a paper titled "National Savings and Friedrich List", which cited the economic theories of Friedrich List and justified the need for a strong domestic industry, protected from foreign competition by customs barriers. This resulted in a new customs law for Russia in 1891, which spurred an increase in industrialization in Russia towards the turn of the century. 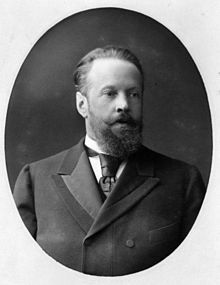 Tsar Alexander III appointed him acting Minister of Ways and Communications in 1892. This gave him control of the railroads in Russia and the authority to impose a reform on the tariffs charged. "Russian railroads gradually became perhaps the most economically operated railroads of the world.". Profits were high: over 100 million gold rubles a year to the government (exact amount unknown due to accounting defects). 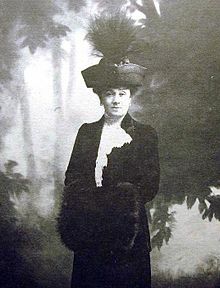 In 1892 Witte became acquainted with Matilda Ivanovna (Isaakovna) Lisanevich in a theater. Witte began to seek her favour, urging her to divorce her gambling husband and marry him. The marriage was a scandal, not only because Matilda was a divorcee, but also because she was a converted Jew. It cost Witte many of his connections with the upper nobility, but the Tsar protected him. In August 1892, Witte was appointed to the post of Minister of Finance, a post which he held for the next eleven years. (Until 1905 matters pertaining to industry and commerce were within the province of the Ministry of Finances.) During his tenure, he greatly accelerated the construction of the Trans-Siberian Railway. He also paid much attention to the creation of an educational system to train personnel for industry, in particular, the creation of new "commercial" schools, and was known for his appointment of subordinates by their academic credentials instead of political connections. In 1894, he concluded a 10-year commercial treaty with the German Empire on favorable terms for Russia. When Alexander III died, he told his son on his deathbed to listen well to Witte, his most capable minister. In 1895, Witte established a state monopoly on alcohol, which became a major source of revenue for the Russian government. In 1896, he concluded the Li–Lobanov Treaty with Li Hongzhang of the Qing dynasty. One of the rights secured for Russia was the construction of the Chinese Eastern Railway across northeast China, which greatly shortened the route of the Trans-Siberian Railway to its projected eastern terminus at Vladivostok. However, following the Triple Intervention, Witte strongly opposed the Russian occupation of Liaodong Peninsula and the construction of the naval base at Port Arthur in the Russia–Qing Convention of 1898. In 1896, Witte undertook a major currency reform to place the Russian ruble on the gold standard. This led to increased investment activity and an increase in the inflow of foreign capital. Witte also enacted a law limiting working hours in enterprises in 1897 and reformed commercial and industrial taxes in 1898. In summer 1898 he addressed a memorandum to the Tsar calling for an agricultural conference on the reform of the peasant community. This resulted in three years of talks about laws abolishing collective responsibility and facilitated the resettlement of farmers onto lands on the outskirts of the Empire. Many of his ideas were later adopted by Pyotr Stolypin. In 1902 Witte's supporter the Minister of Interior Dmitry Sipyagin was assassinated. In an attempt to keep up the modernization of the Russian economy Witte called and oversaw the Special Conference on the Needs of the Rural Industry. This conference was to provide recommendations for future reforms and the data to justify those reforms. By 1900 the growth in the manufacturing industry had been four times faster than in the preceding five-year period and six times faster than in the decade before that. External trade in industrial goods was equal to that of Belgium. In 1904 the Union of Liberation was formed demanding economic and political reform. Witte, in a memorandum, tried to turn the reports of the zemstvo presidents into a condemnation of the Ministry of the Interior. In a conflict on land reform Vyacheslav von Plehve accused him being part of a Jewish-masonic conspiracy. According to Vasily Gurko Witte had dominated the irresolute Tsar and this was the moment to get rid of him. Witte was appointed on 16 August 1903 (O.S.) as chairman of the Committee of Ministers, a position he held until October 1905. While officially a promotion, the post had no real power, and Witte's removal from the influential post of Minister of Finance was engineered under the pressure from the landed gentry and his political enemies within the government and at the court. However, Nicholas V. Riasanovsky states that Witte's opposition to Russian designs on Korea caused him to resign from government in 1903. Witte was brought back into the governmental decision-making process to help deal with the civil unrest. Confronted with growing opposition and after consulting with Witte and Prince Sviatopolk-Mirsky, the Tsar issued a reform ukase on December 25, 1904 with vague promises. After Bloody Sunday riots of 1905 Witte supplied 500 Rubles, the equivalent of 250 dollars, to Father Gapon in order to leave the country. Witte recommended that a manifesto be issued. Schemes of reform would be elaborated by Goremykin and a committee consisting of elected representatives of the zemstva and municipal councils under the presidency of Witte. On 3 March the Tsar condemned the revolutionaries. The government issued a strongly worded prohibition of any further agitation in favor of a constitution. By spring a new political system was beginning to form in Russia. A petition campaign with a wide variety of proposed changes, like ending the war lasted from February to July 1905. In June mutiny broke out on the Russian battleship Potemkin. Witte returned to the forefront when he was called upon by the Tsar to negotiate an end to the Russo-Japanese War. He was sent as the Russian Emperor's plenipotentiary and titled "his Secretary of State and President of the Committee of Ministers of the Emperor of Russia" along with Baron Roman Rosen, Master of the Imperial Court of Russia to the United States, where the peace talks were being held. Witte is credited with negotiating brilliantly on Russia's behalf during the Treaty of Portsmouth negotiations. Russia lost little in the final settlement. For his efforts, Witte was created a Count. But the loss of the war would perhaps spell the beginning of the end of Imperial Russia. After this diplomatic success, Witte wrote to the Tsar stressing the urgent need for political reforms at home. Dissatisfaction with the proposals by Bulygin, the successor of Sviatopolk-Mirsky on 6 August (O.S.) creating a Duma as a consultative body only; the elections would not be direct but would be held in four stages, and qualifications on class and property would exclude much of the intelligentsia and all of the working classes from suffrage, resulted in numerous protests, and strikes across the country. During the Russian Revolution of 1905 troops were sent out 2,000 times. The Tsar remained quiet, impassive and indulgent; he spent most of that autumn hunting. Witte told Nicholas II, "that the country was at the verge of a cataclysmic revolution". Trepov was ordered to take drastic measures to stop the revolutionary activity. According to Orlando Figes the Tsar asked his uncle Grand Duke Nicholas to assume the role of dictator. "But the Grand Duke ... took out a revolver and threatened to shoot himself there and then if the Tsar refused to endorse Witte's memorandum." Nicholas II had no choice but to make a number of steps in the constitutional liberal direction. The Tsar accepted the draft, hurriedly outlined by Aleksei D. Obolensky. known as the October Manifesto. This promised to grant civil liberties such as freedom of conscience, speech, freedom of association, constitutional order, representative government and the establishment of an Imperial Duma. As the Duma was only a consultative body, the Council of Ministers or the Tsar had the right to block certain proposals, and many Russians felt that this reform did not go far enough; nothing on universal suffrage. The regime's usual 'incompetence and obstinacy' in response to the crisis of 1904–5 was by Witte called a 'mixture of cowardice, blindness and stupidity'. Witte and Sviatopolk-Mirsky were approached the 8th of January 1905 by a delegation of intellectuals led by Maxim Gorky, who begged them to negotiate with the demonstrators, as they — after the postings of warnings of 'resolute measures' against street gatherings led by Father Gapon, on 7 January — sensed the coming tragedy. They were unsuccessful as the government believed they could control Gapon. Leaving behind visiting cards to Witte and Mirsky, Gorky was arrested with the other members of the deputations. Father Gapon would in 1906 return to Russia from exile and support Witte's government. On 30 April Witte proposed the Law of Religious Toleration in 1905, followed by the edict of 30 October 1906 giving legal status to schismatics and sectarians of the ROC. Witte argued that ending discrimination against religious rivals of the Orthodox Church 'would not harm the church, provided it embraced the reforms that would revive its religious life'. Although the Church's 'senior hierarchs' may for some time have played with the thought of self-government, Witte's demand that this would come at the cost of religious toleration 'guaranteed to drive them back into the arms of reaction'. Witte had made this demand (self-government for religious toleration) in the hope of 'wooing' the important commercial groups of the Jewish and Old-Believer communities. Witte was approached by the Tsar's advisers, in an effort to save the country from complete collapse, and on 9 October 1905, Witte arrived to be met at the Winter Palace. Here he told 'with brutal frankness' the Tsar that the country was on the verge of a catastrophic revolution, which he said 'would sweep away a thousand years of history'. He presented the Tsar with two choices: either appoint a military dictator or agree to broad and major reforms. In a memorandum arguing for a manifesto, Witte outlined the reforms needed to appease the masses, and this he brought with him to the Tsar. The reforms he presented were the creation of a legislative parliament (Imperial Duma) elected via a democratic franchise; granting of civil liberties; a cabinet government; and a 'constitutional order'. These demands, which basically was the political programme of the Liberation Movement, was an attempt to isolate the political Left by pacifying the liberals. He also emphasised that repression only would be a temporary solution to the problem, and a risky one, because he believed the armed forces — whose loyalty was now in question — could collapse if they were to be used against the masses. Most of the military advisers to the Tsar agreed with Witte, along with Governor of St. Petersburg Alexander Trepov, who wielded considerable influence at court. Only when Nicholas II's uncle Grand Duke Nikolai threatened to shoot himself if he did not agree to Witte's demands, following the Tsar's request of him taking the position of dictator, the Tsar agreed. This would be a large source of embarrassment for the Tsar, that a former 'railway clerk', a bureaucrat and 'businessman' forced the Tsar to relinquish his autocratic rule. [nb 1] Witte himself would later claim that the Tsar's court only were ready to use the Manifesto as a temporary concession, and later return to autocracy when the revolutionary tide subsided'. Witte was in October charged with the task of assembling the nation's first cabinet government, and he offered the liberals several portfolios (Ministry of Agriculture to Ivan Shipov; Ministry of Trade and Industry to Alexander Guchkov; Ministry of Justice to Anatoly Koni and the Ministry of Education to Evgenii Troubetzkoy. Pavel Milyukov and Prince Georgy Lvov were also offered ministerial posts. None of these liberals agreed to join the government though, and Witte's cabinet had to be made of 'tsarist bureaucrats and appointees lacking public confidence'. The Kadets doubted that Witte could deliver on the promises made by the Tsar in October, knowing the Tsar's staunch opposition to reform. Witte argued that the Tsarist regime only could be saved from a revolution by the transformation of Russia to a 'modern industrial society', in which 'personal and public initiatives' were encouraged by a rechtsstaat who guaranteed civil liberties. In the two weeks following the October Manifesto, several pogroms followed. Witte ordered an official investigation, where it was revealed that the police organised, armed and gave the antisemitic crowds vodka, and even contributed in the attacks. Witte demanded the prosecution of the chief of police in St. Petersburg, who was involved in the printing of agitating antisemitic pamphlets, but the Tsar intervened and protected him. Witte believed that antisemitism was 'considered fashionable' among the elite. Witte had once commented in the aftermath of the Kishinev pogrom in 1903, admitting that if Jews 'comprise about fifty percent of the membership in the revolutionary parties', it was 'the fault of our government. The Jews are too oppressed'. Milyukov once confronted Witte, asking why he would not commit himself to a constitution; to this Witte replied that he couldn't 'because the Tsar does not wish it'. Witte himself was worried that the court were only using him, which emerged in talks with members of the Kadet Party. The dominating element of the Empire, the Russians, fall into three distinct ethnic branches: the Great, the Little, and the White Russians, and 35 per cent, of the population is non-Russian. It is impossible to rule such a country and ignore the national aspirations of its varied non-Russian national groups, which largely make up the population of the Great Empire. The policy of converting all Russian subjects into "true Russians" is not the ideal which will weld all the heterogeneous elements of the Empire into one body politic. It might be better for us Russians, I concede, if Russia were a nationally uniform country and not a heterogeneous Empire. To achieve that goal there is but one way, namely to give up our border provinces, for these will never put up with the policy of ruthless Russification. But that measure our ruler will, of course, never consider. On 10 November Russian Poland was placed under martial law. Witte's position was not established. The Liberals remained obdurate and refused to be cajoled. The Peasants' Union[clarification needed] asked the Russian people not make redemption payments to the government and withdraw their deposits from bank that might be subject to government action. He promised an eight hour working day and tried to secure vital loans from France to keep the "regime" from bankruptcy. Witte send his envoy to the Rothschild bank; "they would willingly render full assistance to the loan, but that they would not be in a position to do so until the Russian Government had enacted legal measures tending to improve the conditions of the Jews in Russia. As I deemed it beneath our dignity to connect the solution of our Jewish question with the loan, I decided to give up my intention of securing the participation of the Rothschilds." On 24 November by Imperial decree provisional regulations on the censorship of magazines and newspaper was released. On 16 December Trotsky and the rest of the executive committee of the St. Petersburg Soviet were arrested. The Minister of Agriculture Nikolai Kutler resigned in February 1906; Witte refused to appoint Alexander Krivoshein. In the next few weeks changes and additions to the fundamental laws were made, so that the Emperor was confirmed as the dictator of foreign policies and the supreme commander of the army and navy; the ministers remained responsible solely to Nicholas II, not to the Duma. The "peasant question" or land reforms was a hot issue; the influence of the "Duma of Public Anger" had to be limited according to Goremykin and Dmitri Trepov. The Bolsheviks boycotted the coming election. When Witte discovered that Nicholas never intended to honour these concessions he resigned as Chairman of the Council of Ministers. The position and influence of General Trepov, Grand Duke Nicholas, the Black Hundreds and overwhelming victories by the Kadets in the Russian legislative election, 1906, forced Witte on 14th to resign, which was announced 22 April 1906 (O.S.). Witte continued in Russian politics as a member of the State Council but never again obtained an administrative role in the government. He was ostracized from the Russian establishment. In January 1907 a bomb was found planted in his home. The investigator Pavel Alexandrovich Alexandrov proved that the Okhrana, the tsarist secret police, had been involved. During the winter season Witte lived in Biarritz and started his Memoirs, but he returned to St Petersburg in 1908. During the July Crisis in 1914, Grigori Rasputin and Witte desperately urged the Tsar not to enter the conflict and warned that Europe faced calamity if Russia became involved. The advice went unheeded; the French ambassador Maurice Paléologue complained to the Minister of Foreign Affairs Sazonov. Witte died shortly afterwards due to Meningitis or a brain tumor at his home in St. Petersburg. His third class funeral was held at the Alexander Nevsky Lavra. Witte had no children, but he adopted his wife's. According to Edvard Radzinsky Witte wished the title of count to be given to his grandson L.K. Naryshkin. Nothing is known about him. Witte's reputation was burnished in the West when his secret memoirs were published in 1921. They had been completed in 1912 and kept in a bank in Bayonne, not destined to be published while he and his contemporaries were alive. The original text of these memoirs are held in Columbia University Library's Bakhmeteff Archive of Russian and East European History and Culture. ^ Not even his abdication in 1917 was considered as big a humiliation than agreeing to the demands. ^ F.L. Ageenko and M.V. Zarva, Slovar' udarenii (Moscow: Russkii yazyk, 1984), p. 547. ^ a b "Sergei Witte – Russiapedia Politics and society Prominent Russians". russiapedia.rt.com. ^ a b Harcave, Sidney. (2004). Count Sergei Witte and the Twilight of Imperial Russia: A Biography, p. xiii. ^ His ancestors lived in Friedrichstadt in the Courland Governorate and not in Holstein. ^ "Sergei Witte – Russiapedia Politics and society Prominent Russians". russiapedia.rt.com. ^ "История России в портретах. В 2-х тт. Т.1. с.285-308 Сергей Витте". www.peoples.ru. ^ "Sergei Yulyevich Count Witte". geni_family_tree. ^ a b c d e Harcave, p. 33. ^ a b c "Sergey Yulyevich, Count Witte - prime minister of Russia". ^ a b c "История России в портретах. В 2-х тт. Т.1. с.285-308 Сергей Витте". www.peoples.ru. ^ B. V. Ananich & R. S. Ganelin (1996) Nicholas II, p. 378. In: D. J. Raleigh: The Emperors and Empresses of Russia. Rediscovering the Romanovs. The New Russian History Series. ^ "Witte on economic tasks". pages.uoregon.edu. ^ Ward, Sir Adolphus William (7 August 2018). "The Cambridge Modern History". CUP Archive – via Google Books. ^ a b c "Sergei Witte". ^ Massie, Robert K. (1967). Nicholas and Alexandra (1st Ballantine ed.). Ballantine Books. p. 90. ISBN 0-345-43831-0. ^ Witte, Sergei IUl'evich; Yarmolinsky, Avrahm (7 August 2018). "The memoirs of Count Witte". Garden City, N.Y. Doubleday, Page – via Internet Archive. ^ "Text of Treaty; Signed by the Emperor of Japan and Czar of Russia," New York Times. October 17, 1905. ^ V.I.Gurko (7 August 2018). "Features And Figures Of The Past Government And Opinion In The Reign Of Nicholas II". Russell & Russell – via Internet Archive. ^ Pospielovsky, Dmitry (1984). The Russian Church Under the Soviet Regime. Crestwood: St. Vladimir Seminary Press. p. 22. ISBN 0-88141-015-2. ^ "1905 :: Электронное периодическое издание Открытый текст". www.opentextnn.ru. ^ Design, Pallasart Web. "Count Sergei Iulevich Witte - Blog & Alexander Palace Time Machine". www.alexanderpalace.org. Korostovetz, J.J. (1920). Pre-War Diplomacy The Russo-Japanese Problem. London: British Periodicals Limited. Witte, Sergei. (1921). The Memoirs of Count Witte (translator, Abraham Yarmolinsky). New York: Doubleday. Wcislo, Francis W. (2011). Tales of Imperial Russia: The Life and Times of Sergei Witte, 1849-1915. New York: Oxford University Press. ISBN 978-0-19-954356-4. Wikimedia Commons has media related to Sergei Witte. This page was last edited on 24 April 2019, at 13:09 (UTC).